The Bundesliga will soon have another American hotshot in its ranks after Schalke announced the signing of Atlanta United academy product Zyen Jones. Jones - having enjoyed a successful trial with the club - will join Schalke when he turns 18 in August and and play for the Under-19s for the 2018/19 season. 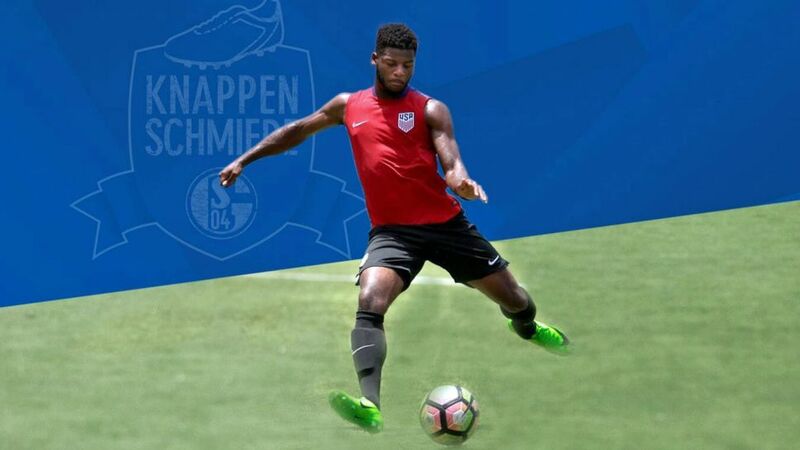 The former USA U-17 international forward follows compatriots Weston McKennie, Nick Taitague and Haji Wright to Gelsenkirchen. Last year, breakthrough Schalke star McKennie urged more young Americans to join him and Borussia Dortmund sensation Christian Pulisic on the European continent. "If it's the right choice, if everything fits, if everything makes sense, I would say come," he said. "You don't want to start in MLS and always have the question in the back of your head if you could have made it over there. I didn't want that." McKennie has made 17 appearances in all competitions in his debut Bundesliga season and earned his first senior international cap for the USA in the November 2017 friendly against European champions Portugal, scoring the opening goal.